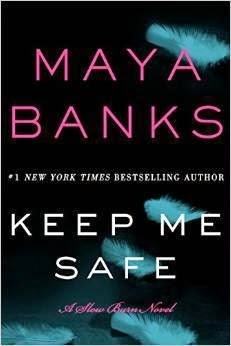 Maya's first book in the Slow Burn series, Keep Me Safe, is available in stores and as an e-book on October 7th and we'd love to work with you on this new release! The Slow Burn series begins with Keep Me Safe, which follows the exciting and heart-pounding adventures of Ramie St. Claire, a woman with the remarkable talent of locating missing victims by feeling their pain. The second book in the series, In His Keeping, will be available in January 2015 and the third book in the series, Safe at Last, will be published in March 2015. Rising above the talents of a typical psychic, Ramie uses her gift to locate missing victims by connecting with their emotions and feeling their pain. However, every gift comes with a curse. Every time Ramie locates another victim, she loses a piece of herself and experiences the same physical and mental pain the missing victims do. When the younger sister of Caleb Devereaux disappears—rich, handsome, impatient Caleb Devereaux—he immediately seeks out Ramie’s help and talents, igniting chemistry between the two that they never expected. When tracking down Caleb’s sister leads to Ramie’s suffering and eventual disappearance, Caleb vows to do everything within his power to help her. After Ramie suddenly reappears, deeply in need of Caleb’s aid, Caleb knows he will lay everything on the line, even his heart, to shelter Ramie from harm.